There was I. In the middle of nowhere, dreaming that I am the only person in the world. Aw. Grabe naman. World talaga? I know you want to experience the same exclusivity with your family and friends. Well, not alone in the world but at least, on an island. Cebu Pacific's rewards arm GetGo launched their Exclusive Island Escape promo. 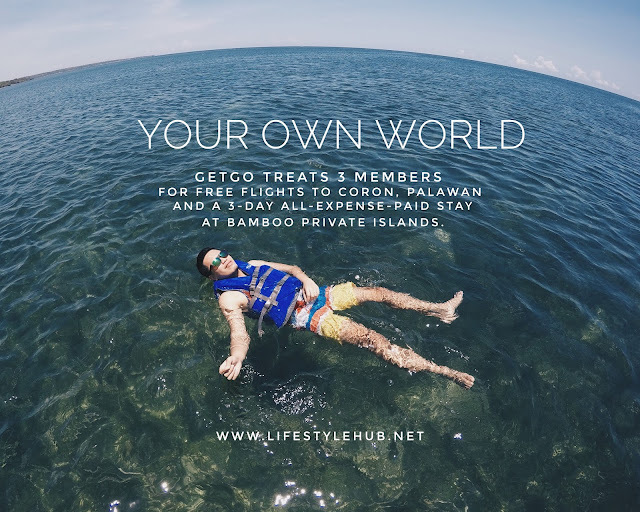 Three (3) lucky GetGo members can have a piece of heaven on Earth with round-trip tickets to Coron, Palawan and a 3-day all-expense-paid stay at the very exclusive Bamboo Private Islands. Just in case you don't know yet, Bamboo Private Islands lies hidden in the middle of the trendy Calamianes but travelers can easily access it with a banka or a speedboat ride from Coron. What's in there? A stunning view of powdery white sands and crystalline waters that is absolutely crowd-free. No photobombers or waiting moments just to make your photos look nice since the island will just be exclusive for you and your family and friends. Would it look like a real-life staging of "Cast Away"? No, not exactly. Uniquely-designed bamboo huts await guests where you can experience authentic and sumptuous every day meals using the best and safest local ingredients from - wait for it - the island's organic farm! I'm calling organic food eaters! There are so many things to do on the island. There's snorkeling, kite boarding, paddle boarding, island hopping, and probably the best marine life you can ever see when you dive. To join and experience the perks of living in the ultimate dream island in the country, members simply have to earn and/or redeem GetGo points from January 31 to March 31, 2018. Each GetGo point earned and redeemed is equivalent to one (1) raffle entry. Of course, the more points earned, the more chances of winning! I hope you watched the video already. 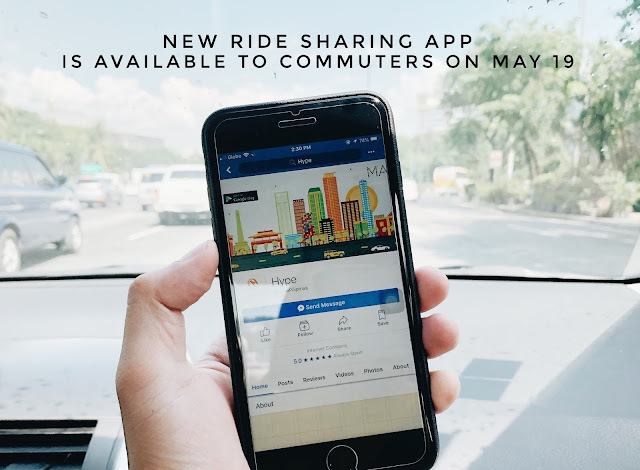 You can also go to www.getgo.com.ph for more details about this exciting promo! You can also check out their official Facebook page.